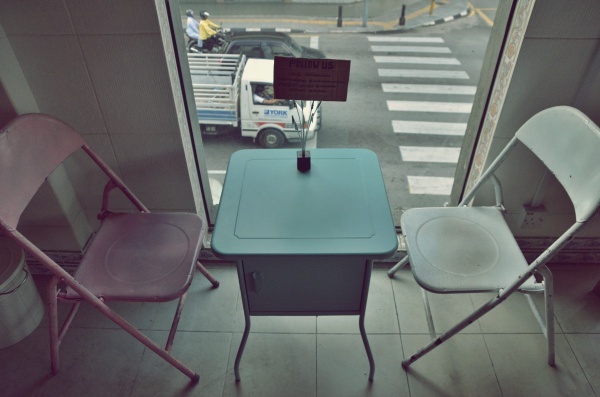 Amidst the recent cafe boom in Ipoh, El Negra Distro & Studio must have stood out for its indie music-inspired ambience; distro essentially means a distribution house for independent publishing (like zines), indie music labels and other DIY crafts, and the fact that it’s a Halal cafe operated by Muslims must have added weight to its customer base. Are you tired of the cafe reviews yet? Well, good news is that … this is the last one for the series. The few days back home during CNY were invested almost entirely on cafe-hopping and eating around town; though after the umpteenth cafe; I got side-tracked and the cravings for good old Ipoh hawker food came collapsing in waves. Imagine the most sinful plate of fiery dry curry ‘sar hor fun’ paired with a cup of aromatic, creamy and robust Ipoh white coffee and maybe a side of crunchy Ipoh bean sprouts tossed in soy sauce by the side. Enough to drive me nuts over the span between homecoming. On a side note, I foresee more frequent visits back home over the coming weekends for a variety of reasons. Exciting times ahead indeed. Hold your breath. 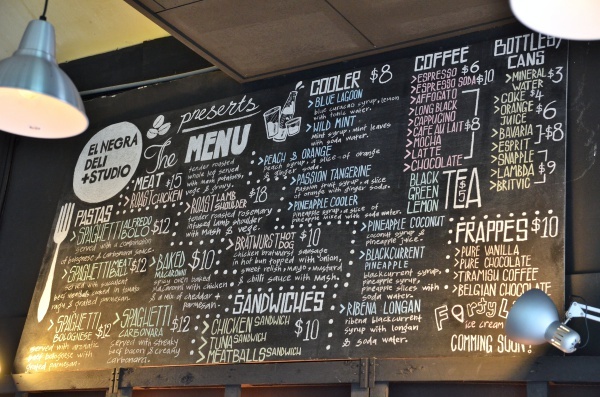 Here’s the rundown on El Negra Distro; at what could possibly be the most strategic coordinate among all of the other cafes. Read on to find out why. At times when some other cafes are over-doing the vintage elements clash and appeared to be more like a flea market, El Negra practises some restraint by cleverly using space at nooks and corners, while the overall ambience was still a pretty much laid-back one with lots of natural light streaming in from the large windows encircling the perimeter. A pity that they open from 4 pm onwards only. 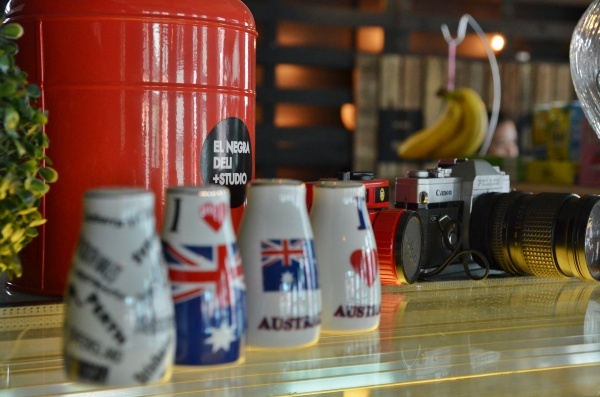 There are more than a few knick-knacks for you to photograph here at El Negra. Don’t forget to get a shot of the back lane from the secondary room; behind the drinks bar. Now featuring more savoury mains and even a rather passable desserts selection from the counter, El Negra charges reasonable prices for the food while the drinks still hover around the RM10/USD3 mark. 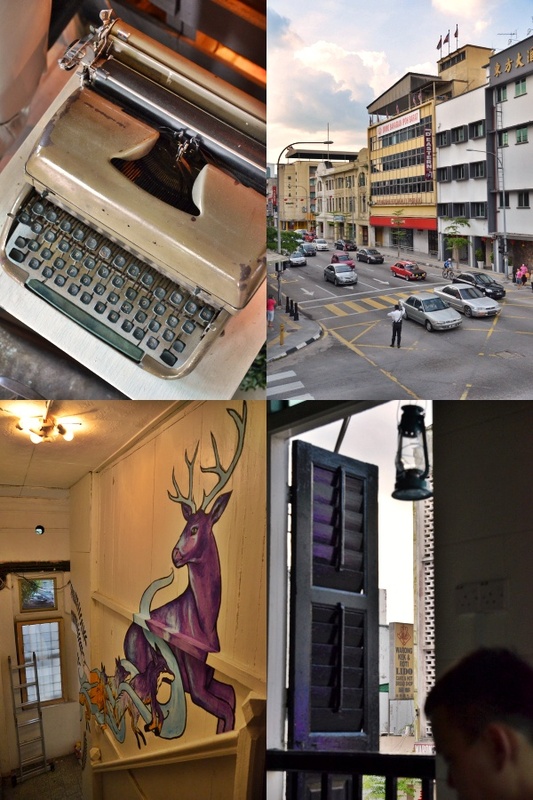 This place will remind most of art cafes in Penang; places to spend almost an eternity at during late afternoons or brunch hours; impressive colourful murals, card/board games and well, coffee ticked all the prerequisites. If only they offer light bites or snacks. Proof is in the eating (no more?). The food and drinks here at El Negra were …. disappointing, actually. 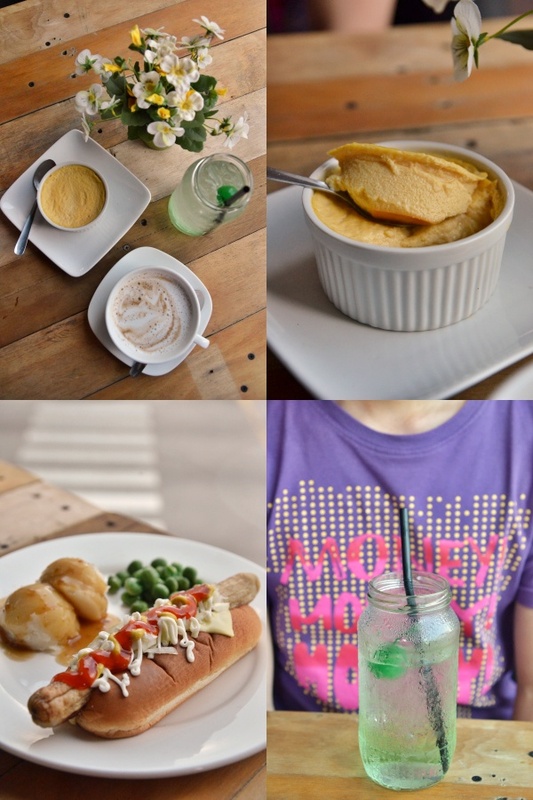 The Creme Caramel custard (RM5/USD1.70), Bratwurst Hot Dog (RM10/USD3.30), Wild Mint Cooler (mint syrup, mint leaves in soda water) RM8/USD2.60 and Latte (RM8/2.70) all faltered in delivering that Midas touch of ensuring returning customers. Okay, first thing’s first. No matter how impressive the decor and fresh the concept is, it still boils down to the bare essentials of a cafe that I will return to time and again. The coffee and/or the food. 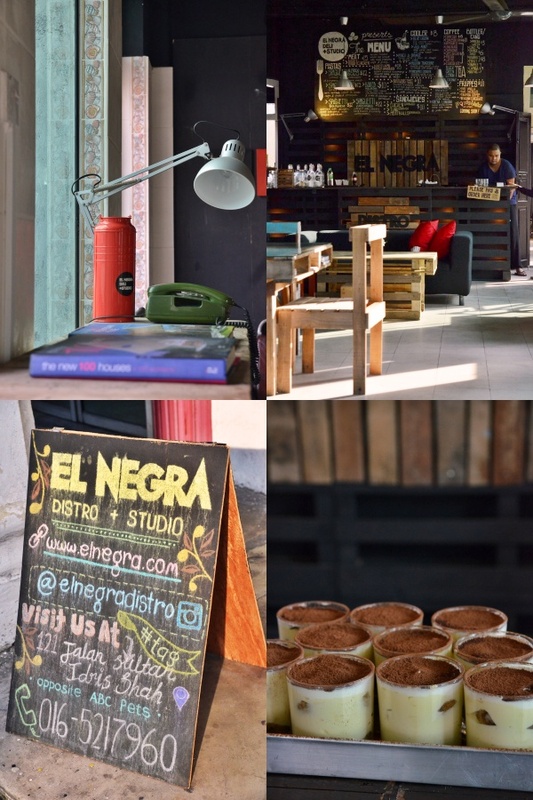 El Negra offers quite a selection of mains like Roast Chicken, Roast Lamb Shoulder, various pastas and sandwiches, as well as desserts like Tiramisu, creme caramel egg custard (hey, this is Ipoh after all! Plus Thean Chun’s version has transcended beyond mere egg custards level) and random cakes. Though we expected lighter bites like salads, cookies or even fries to fill the void in between meals, they offer none of those. So we relented and shared a Bratwurst Hot Dog which was essentially your basic chicken sausage between a bun overflowing with mayo, chill sauce, mustard and cheese, two scoops of mashed potatoes and boiled green peas on the side. The Creme Caramel was at least; an effort seen on their side to create a dessert that is not the common offering at most cafes; but if you must, this was a far cry from Thean Chun’s. But the most disappointing factor had to be the drinks. The Latte had no coffee art whatsoever, and tasted more milk than coffee. Had this been a RM5 cup of latte, then maybe it’s forgivable. But at RM8, this was already in the legion of coffee served in most artisan cafes even in the Klang Valley. 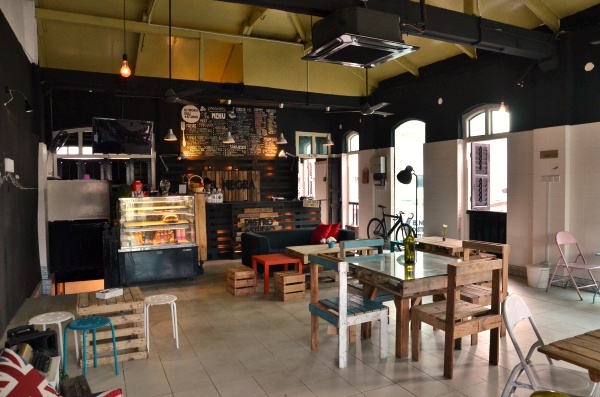 Still, being one daring venture for a Halal cafe (the first that came to mind was Thumbs Cafe in Greentown); El Negra deserves a salute for bringing the coffee, arts and music culture to Ipoh; right smack in the heart of old Ipoh town. *For the entire cafe in Ipoh series; jump to HERE, and what can keep you busy for the rest of the CNY by going through the Ultimate Ipoh Food List. This is at the crossroad junction diagonally opposite of D’Eastern Hotel, and opposite of Lido Cake House just down the road from Super Kinta towards The Store. Hip hip for my hometown! 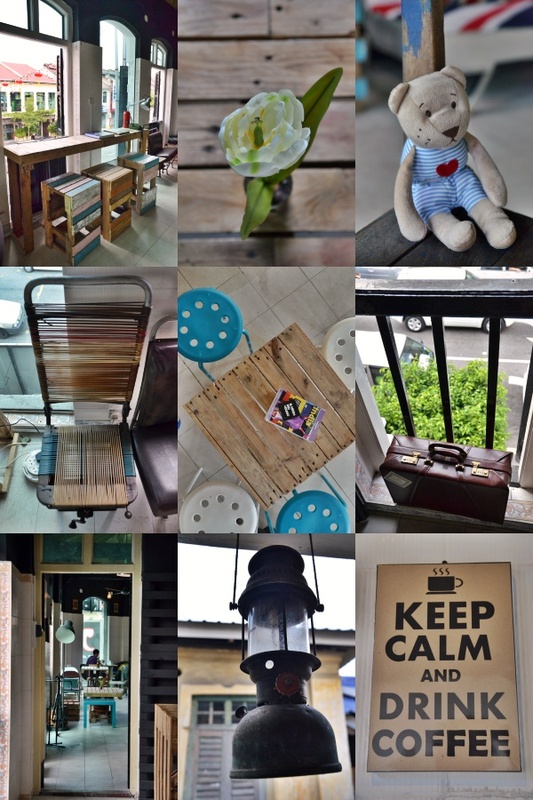 Love the way it is blossoming into a cafe mecca.. a lot of trendy restaurants which I have yet to visit.. but I will soon! 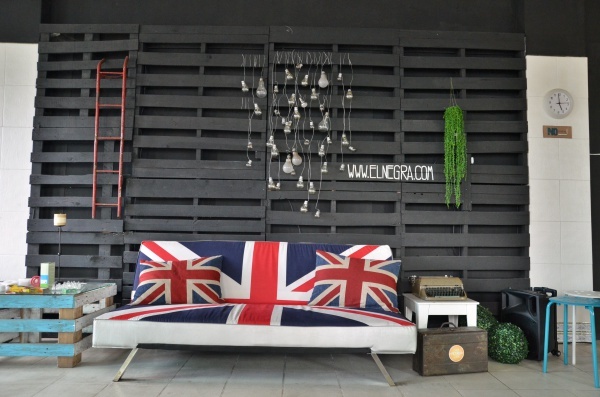 The decor and ambiance looks good and I agree that it is a lovely place to hang out with friends for the afternoon; but sad to hear that they got carried away with the concept and into their price tags. This will turn away local customers; never mind the tourists especially when the quality is not comparable to the price.